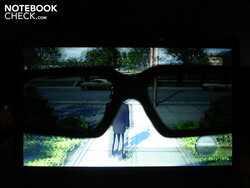 "3D" is currently one of the biggest buzz words in the entertainment industry. We decided to hop on-board this trend and take a closer look at Nvidia’s 3D Vision system. Is their 3D technology any good in practice? Find out in our review. 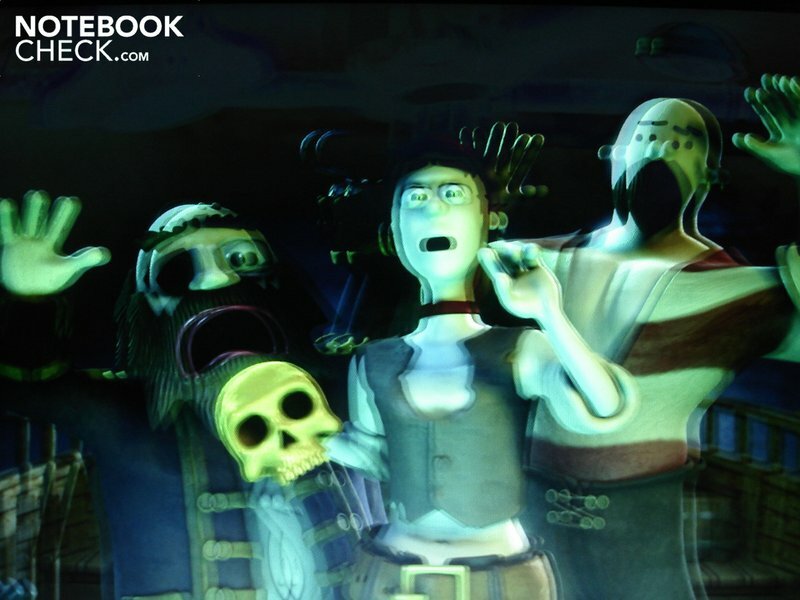 Modern methods of 3D imaging are based on the stereoscopic principle. 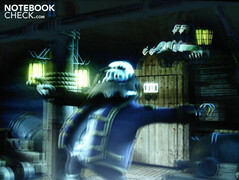 A scene is depicted from two slightly different angles, and viewers automatically perceive it as two so-called half images. By making only one of these half images available to each eye, you can trick the brain, which draws a large part of its depth information from the slightly differing perspectives of the two eyes, into producing a 3D effect. This is generally achieved through coloured filters (the anaglyph method - think of the classic red-green glasses), polarised filters (the polarisation method), or alternately darkening glasses (the shutter method). The autostereoscopic method is the only one to work entirely without special glasses, but the required equipment is (at present) very expensive. Nintendo could play a pioneering role in this; the console manufacturer is looking to bring out an autostereoscopic handheld device, the 3DS, in the near future, which should bring the method into more affordable territory. 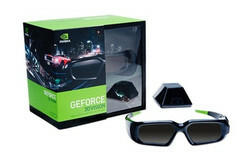 Nvidia came out with its so-called ‘3D Vision Kit’ back in 2008; it uses the aforementioned shutter technology and is currently available for about €130. This kit includes, amongst other things, a pair of active shutter glasses as well as an infra-red transmitter which is responsible for synchronizing the signals between the monitor and glasses (range 4.5 m for both). When 3D Vision is active, the lenses darken up to 60 times a second in sync with the half images on screen. For the screen not to flicker, it must have a frequency of at least 120 Hz. Unfortunately such monitors are still pretty rare and, compared to the classic 60 Hz screen, really expensive. Notebooks with screens capable of 120 Hz are also few and far between; the Asus G51J, the Asus G53JW and the Acer Aspire 5745DG are rare exceptions. Other prerequisites for 3D Vision are a dual-core processor, an Nvidia graphics card which is a GeForce 8800GT or higher, and a copy of Windows Vista or Windows 7. On our notebook the set-up for 3D Vision is incredible easy, as the infra-red transmitter is already integrated into the display edging and the driver comes pre-installed. After turning on the shutter glasses and whizzing through the user-friendly set-up process (see screenshots), you can get started right away. 3D Vision is not just suitable for 3D gaming but also 3D programs, 3D pictures, 3D films or videos, and 3D Blu-Ray, though this last may require some additional software. 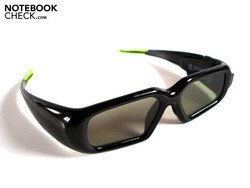 The shutter glasses are more or less comfortable to wear, at least for those of us who don’t wear glasses anyway, and the weight is acceptable at around 50 g.
According to the Nvidia, the battery in the shutter glasses lasts for more than 40 hours even when used for gaming; recharging is simple and takes place via USB (cable included). 3D Vision benefits from one of the fundamental advantages of shutter technology, the high resolution. With other 3D technologies, the resolution sometimes has to be reduced for technical reasons, but 3D Vision can be enjoyed in Full HD resolutions. Another advantage is that it works relatively independently of viewing angle - you don’t have to make sure you are sitting directly in front of the screen at every moment. 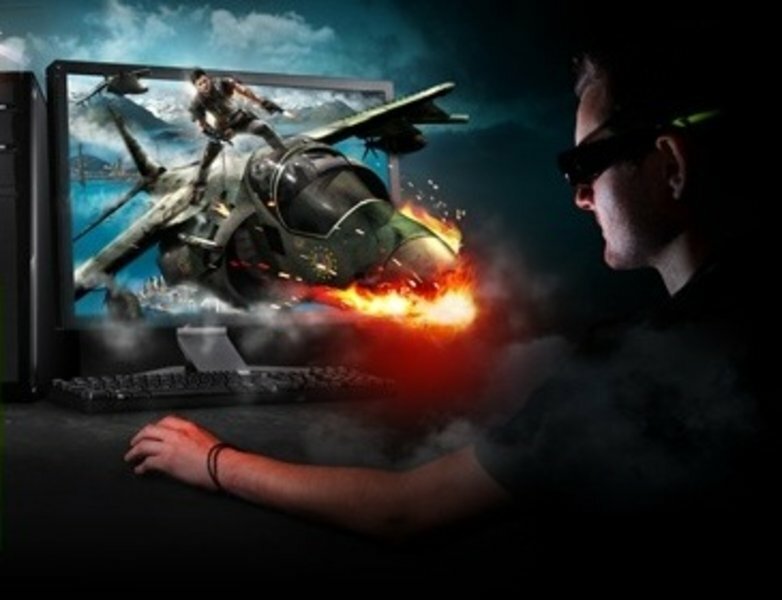 3D Vision has every chance of success in gaming in particular, as games, unlike most films, are already formulated three dimensionally. 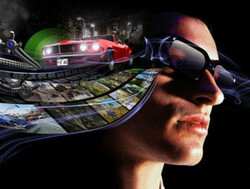 According to Nvidia the software is currently able to recognize over 400 games automatically and convert them to 3D. 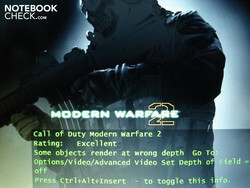 You can get information about a game’s compatibility from the well laid-out and well-structured driver interface (see screenshots), which also gives access to a number of useful keyboard shortcuts. If you like you can even have tips about optimal configuration appear on screen during your game. Some games, mostly new ones like Metro 2033 or Mafia II, also come with an “Nvidia 3D Vision Ready” logo. 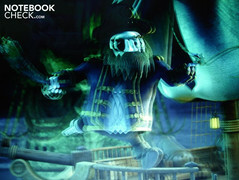 This means that during development the game was specifically tailored to produce 3D effects, so that you not only see things projected “inwards” but also “outwards”, which intensifies the 3D experience. But despite these excellent prospects, after two hours of 3D gaming we were actually rather disappointed: many objects (like weapons in first-person shooters) do create an excellent impression of depth, and you can generally discern several different levels of depth, but overall 3D Vision was a distraction, in our view, from what was going on in the game, rather than taking the atmosphere to a whole new level. It should also be borne in mind that the 3D representation strains the eyes badly and so forces you to take frequent breaks. We tested several games with 3D Vision to determine its effects on system performance. We based this on the Acer Aspire 5745DG notebook, which is equipped with a Core i7-740QM, 4 GB of DDR3 RAM and a mid-range graphics card, the GeForce GT 425M. The result: with 3D Vision activated, the performance level drops by half! The GeForce GT 425M has some problems with medium to high detail settings even without 3D, so when 3D is activated there is not even the slightest chance of smooth gameplay. Only with the low detail setting and a moderate resolution can you get reasonable refresh rates. However the blame here really lies with Acer, as the GT 425M is simply not designed to handle games on high detail settings and resolutions. As a result, it does not have enough power in reserve for 3D. If you want to experience the third dimension with decent visual quality even at higher resolutions, the only option is a high-end graphics card like the GeForce GTX 460(M). 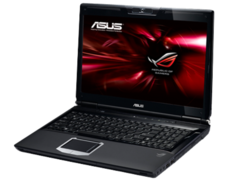 At the moment the only real choice for demanding notebook users is the Asus G53JW. 3D Vision appealed to us most when used for videos. As there is no interactive element, you can just lean back, relax and let the 3D work its magic, like in the cinema. Unfortunately the range of 3D material is still very limited at present, and we had to make do with a couple of test videos on Nvidia’s homepage. But these gave us a good idea of the system’s potential. Incidentally, you will need to to install certain software to allow you to play stereoscopic video data; the free “Stereoscopic Player” is worth mentioning in this context. The shutter glasses swallow up the screen brightness to a large extent, and so you will need a machine with as bright a screen as possible. Unfortunately, screen brightness is a weak point for many notebooks. In many games (especially ones not optimized for 3D) there is a HUD (heads up display) which is always present on screen and looks unattractive as it disturbs the 3D effect. The shutter glasses can get uncomfortable after a while for people who have to wear their own glasses underneath. Not everyone is actually able to see three-dimensionally. If you believe some studies, as many as 10% of the population are affected. For some people 3D imaging causes physical discomfort like dizziness or nausea. Sometimes the problems will lessen after a long period of adjustment. The eyes get tired more quickly than they do during ‘normal’ use. Sometimes you see fuzzy or duplicated images, which could be down to the eyes focusing incorrectly or to a disturbance in the infra-red signal. 3D content above a resolution of 720p can only be transferred to an external monitor via DVI (Dual Link) or HDMI (Version 1.4 and above). As long as no health problems or technical issues crop up, and as long as a game or film is optimized for the third dimension, 3D Vision can display its full potential and produce a surprisingly good 3D effect. However, enthusiasts who want high resolutions and levels of detail will definitely require a very powerful GeForce graphics card, as the 3D imaging takes up an awful lot of processing power. Price is also a deciding factor: while notebook fans wanting to enter the world of 3D will need to buy a new machine entirely (for at least €1,000), PC users have the option of upgrading individual parts. But, a combination of the 3D Vision Kit, a high-end graphics card (eg. GeForce GTX 460) and a bright 120 Hz monitor (eg. Asus VG236HE or LG W2363D) will still come in at a hefty €650 or so. Overall we would characterize 3D Vision as an interesting and genuinely practicable 3D technology which gives you a foretaste of where the entertainment industry is headed for the next few years. But we don’t (yet) consider it to be more than an interim technology. In the long run we feel that 3D methods which do not require an annoying pair of glasses will be the ones to triumph - though we may have to wait some time for their development. One final comment: Nvidia’s main competitors AMD/ATI are also planning to release a 3D system based on shutter technology with the introduction of the Radeon HD 6000. We await it with interest.